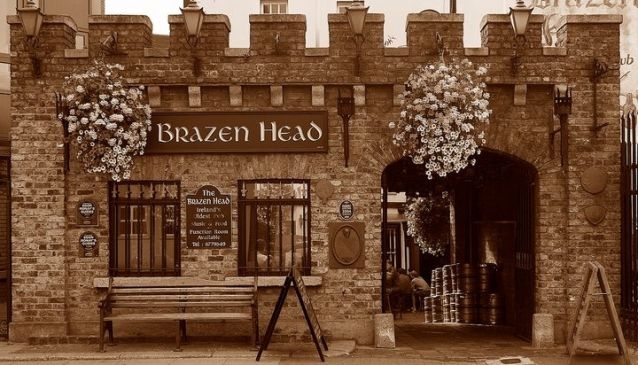 The Brazen Head has enjoyed an epic run since 1198, in its converted coach house near the River Liffey. And that, ladies and gentlemen, makes it officially Ireland's Oldest Pub. It's not just about age - The Brazen Head has an amazing history and has hosted many writers, rebels and revolutionaries over the years. Today, this is a pub known for good food and live traditional music along with the unbeatable atmosphere. Of course, any pub that's been around for over eight centuries will have more than its share of stories to tell. To hear some of them, you can attend An Evening of Folklore and Fairies. In the warm glow of candlelight you'll listen to tales, Irish music and balladry. And bring the kids along - as you take in the folklore experience you'll enjoy some great food, and there's a menu specifically for little 'uns.